The Israeli government is implementing a plan to increase the Jewish majority in Jerusalem to establish the 'Greater Jerusalem', said the director of the cartography department in the Arab Studies Association and expert on Israel's settlement policies, Khalil al-Tafkaji. 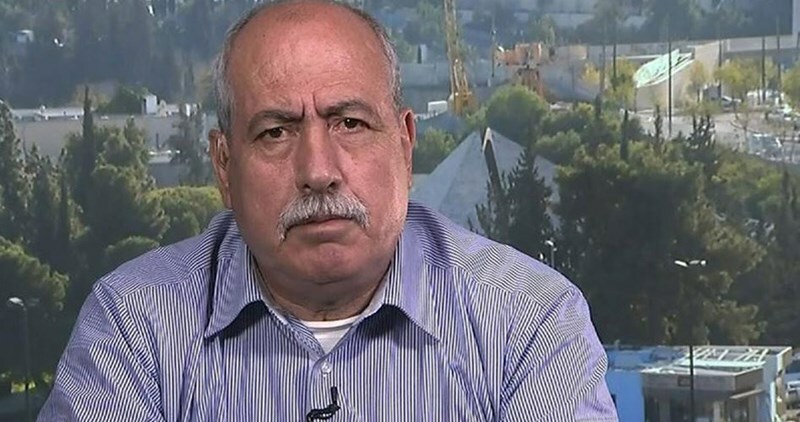 In an exclusive interview with the Palestinian Information Center (PIC) al-Tafkaji stated, "The successive Israeli governments, especially Netanyahu's first and second governments, have all contributed in the E1 settlement project that aims at geographically disconnecting the north and south of the West Bank. The project eliminates the remaining space to expand 'East Jerusalem' as a capital for the (projected) state of Palestine." Al-Tafkaji pointed out that the Israeli government is secretly working to establish a "bi-national" state away from the two-state solution. He confirmed that this does not only include the E1 project, but also the widespread expansion of settlements south and north of Jerusalem, in addition to the expansion of the industrial zone in the settlement of Ma'aleh Adumim to the Dead Sea. Meanwhile, Peace Now organization announced recently the scheme of the Israeli Ministry of Construction and Housing, which includes building 55,548 illegal settlement units in the Palestinian territories in the West Bank and Jerusalem. The scheme consists of more than 25,000 units to the east of the Separation Wall, and 8,378 units in At-Tur and 'Anata. Furthermore, two Israeli settlements are to be built to the south of Bethlehem and the north of Jordan Valley, in addition to more than 12,000 settlement units in the Old city of Jerusalem. Al-Tafkaji confirmed that working on the E1 settlement project has not stopped for years, as the infrastructure has already been built, in addition to a district police headquarters. The E1 zone, according to him, is connected with the settlement of Ma'aleh Adumim from the east, and the Eastern Ring Road and the French Hill from the west. The Palestinian and Arab response to the Israeli plan, according to al-Tafkaji, is nonexistent, especially in the light of the ongoing regional Arab split. “The project is timely, allowing Israel to carry out the whole process without even an Arab condemnation,” said al-Tafkaji. He added that Israel is quite comfortable nowadays as the U.S. is preparing for the next elections and is busy with Russia, Syria, Iraq and ISIS. In addition, Europe is dealing with immigrants and terrorism, thus giving Israel the space to accelerate its settlement projects. 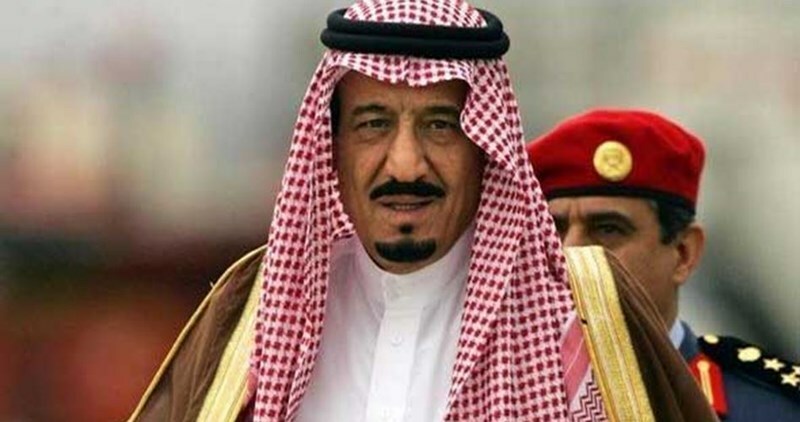 The Custodian of the Two Holy Mosques, King Salman Bin Abdul Aziz, on Wednesday reaffirmed the Kingdom’s firm stances towards the Palestinian cause and the legitimate rights of the Palestinian people, including supporting the establishment of an independent Palestinian state with Jerusalem as its capital. Saudi Arabian King Salman Bin Abdul Aziz met with the Palestinian Authority (PA) Chairman, Mahmoud Abbas, at his palace in Riyadh to talk about bilateral relations and the latest developments emerging on the Palestinian socio-political scene. At the outset of the session, Abbas decorated the Custodian of the Two Holy Mosques with the Medal of Honor – the highest honor granted in Palestine – in recognition of the King’s supportive stands of the Palestinian cause. PA Chairman Mahmoud Abbas arrived in Saudi Arabia at noontime on Wednesday for an official visit to the Kingdom. Few hours after Israeli media sources claimed that Israeli forces opened fire at a Palestinian young man for an alleged stabbing attack south of al-Khalil, the same sources denied the news later on saying that it was a false report. Ambulance crews and PA security forces rushed to the area where they discovered that it was a false report. 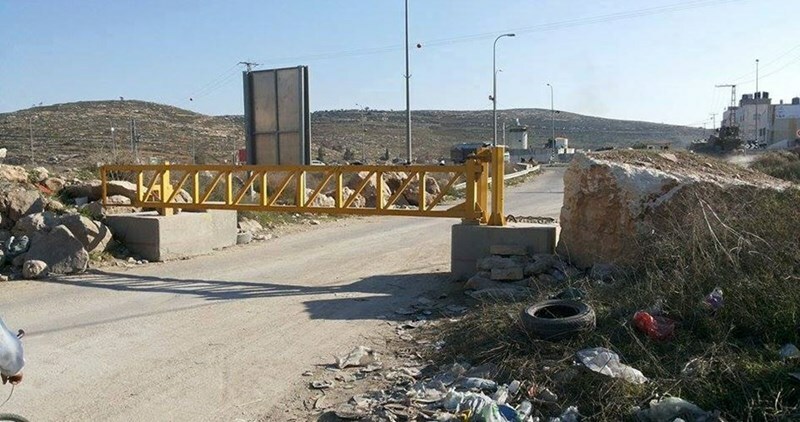 Earlier Wednesday, Hebrew newspaper claimed that Israeli forces shot and killed a young man after he allegedly tried to stab soldiers near al-Fahes area, south of al-Khalil. The PIC reporter made several contacts with different media sources who denied the alleged attack. Israeli media sources then denied the news. Dozens of Palestinian youngsters were arrested and killed since October 1 under the pretext of alleged Palestinian attacks against Israelis. On 27 October, Amnesty International released a report that called into question a number of accounts in which Palestinians were shot and killed after alleged stabbing incidents. The group found that many of the cases, including the death of Hadeel al-Hashlamon, were extrajudicial killings. The day after the report was released, Israel’s Justice Ministry announced that 29-year-old Israa Abed who was shot multiple times by Israeli forces, but not killed, had been cleared of all charges. The court ruled that police investigations into Abed’s shooting were conclusive of the fact that she did not pose any threat when she was shot. Despite his dark past and his attempt of bombing al-Aqsa Mosque in the eighties of the last century, the Israeli occupation authorities (IOA) allowed the settler Yehuda Etzion to enter al-Aqsa Mosque after 30 years of prevention; he was also allowed to raise his hands as an aspect of worship while roaming the Mosque’s courtyards. However, after the removal of the ban, Etzion breached the term of an agreement between Israel and Jordan with the sponsorship of the USA. 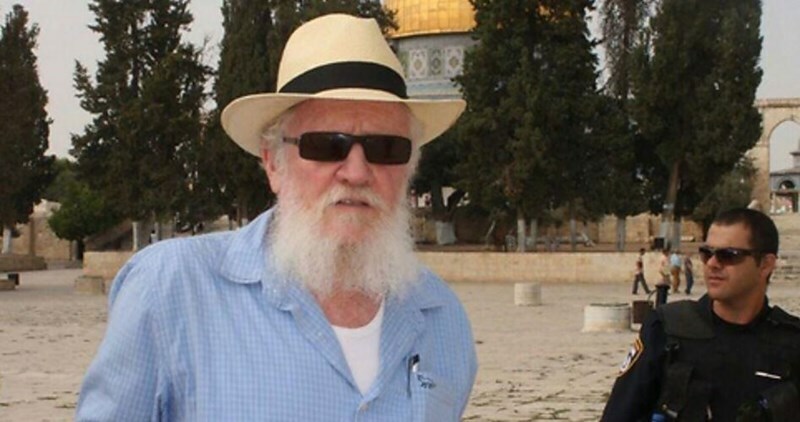 Etzion appealed the decision of denying him access into al-Aqsa Mosque for 15 days. The decision was issued by the Magistrate Court in Jerusalem, because he violated the "terms" of the recent Jordanian–Israeli agreement, which allows settlers to enter al-Aqsa Mosque but not to pray in it; however, Etzion raised his hands after entering the site as part of a religious ritual, prompting Israeli forces to get him out of the Mosque after the Aqsa guards protested his act and insisted on him getting out of the holy Islamic site. In view of the serious unprecedented event after the Israeli judiciary allowed the settler to practice an act of worship violating the Jordanian-Israeli agreement, the Islamic Waqf management communicated with the Jordanian ambassador and Jordanian Ministry Of Awqaf and Islamic Affairs and informed them of the serious situation arising from storming the Mosque by such settlers who declare their intention to destroy the Mosque to build the alleged Temple in its place. The director of al-Aqsa Mosque, Sheikh Omar Kiswani told Qpress that the District Court's decision is a serious escalation and a flagrant attack on al-Aqsa Mosque that would affect the region, stressing that the Israeli occupation must stop those settlers if it wants peace as it claims. Lawyer and specialist of Jerusalem and Al-Aqsa affairs, Khalid Zabarqh, opined that the decision not to ban the settler Yehuda Etzion from al-Aqsa Mosque affects the legal rules that govern al-Aqsa Mosque, which acknowledge the entitlement of Muslims in the Al-Aqsa Mosque and praying there, and at the same time prevent others from doing that. He charged that the Israeli judiciary has recently cohered with the Judaization schemes of the city of Jerusalem; as the judiciary began making decisions that help the settlement project, noting that, in conjunction with allowing Etzion to raise his hands as a signal of a prayer in al-Aqsa Mosque, the Israeli judiciary is looking into a decision of criminalization the chanting of Thakbir (Allah is the greatest) inside al-Aqsa Mosque. Through his follow-up of the conduct of the Israeli courts, Zabarqh said that the occupation is trying through this device to widen the Judaization practice, in addition to dwarfing the Islamic right in al-Aqsa Mosque albeit in simple steps in order to endorse the occupation's presence in it. While the Israeli occupation allows the settlers to break into al-Aqsa Mosque knowing their plans and intentions to demolish al-Aqsa Mosque, it prevents many Palestinians from entering the Mosque, he pointed out. In this context, Sheikh Raed Salah, who has been barred from entering the city of Jerusalem and Al-Aqsa Mosque since 2007, confirmed that it is not permissible for any Israeli court to judge in any issue pertaining to the al-Aqsa Mosque; because it does not have sovereignty over it. Sheikh Salah believes that the Israeli court's decision is null and void. Sheikh Salah explained that the court is trying to legitimize through its decisions the incursions of settlers into al-Aqsa Mosque, in addition to legitimizing the construction of the alleged temple in place of the Mosque. Regarding the renewal of his ban decision yesterday for an additional six months, Sheikh Salah said that the occupation which pretends that it respects the judiciary, issues an administrative military decision to prevent him from entering the city of Jerusalem, which he described as blatant injustice and racism. The Israeli occupation forces prevented 12 Muslim deputies in the Israeli Knesset from entering the al-Aqsa Mosque, as well as banning 60 Palestinian women from praying in it. Yehuda Etzion had tried to blow up the Dome of the Rock but al-Aqsa Mosque guards thwarted his attempt when a guard on one of its gates stopped him and searched the bag he was carrying and found it filled with explosives. Etzion was a member of the Jewish secret movement that planned to assassinate the mayors of the West Bank. It adopted the bombing of the Nablus mayor Bassam Shaka's car; the bombing resulted in the amputation of his legs. Hamas and the Islamic Jihad slammed in a meeting on Tuesday the Palestinian Authority (PA) for its ongoing security coordination with the Israeli occupation and attempts to snuff out the flames of the anti-occupation intifada. 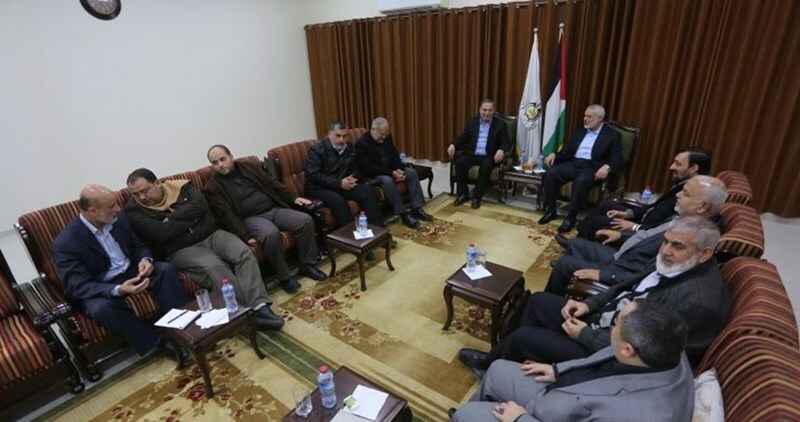 In a meeting in the blockaded Gaza Strip, Hamas and the Islamic Jihad discussed possible ways to boost the Jerusalem Intifada, halt PA security coordination, and stop the wave of summonses and arbitrary arrests carried out by the PA against anti-occupation activists. Hamas spokesman Taher al-Nunu strongly condemned the attack launched by PA security forces on Friday on a popular march in the West Bank. The PA forces cracked down on the protesters and arrested several among them. Both parties further agreed on the need to join forces in the face of the Israeli colonizer and to prop up resistance potentials despite the tough blockade imposed on Gaza. The movements went over possible mechanisms to alleviate the impact inflicted by the electricity crisis and the closure of the Rafah border crossing on the people in Gaza. Spokesman for the Islamic Jihad, Daud Shihab, also said Hamas has positively reacted to the promising and constructive suggestions aiming at boosting the national reconciliation project and serve Palestinians’ needs in the very best way possible.